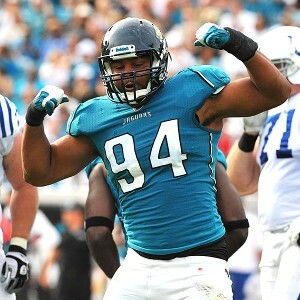 For National Football Authority, we had the chance to interview Jaguars DE Jeremy Mincey. Mincey has a remarkable story of going from nearly retiring just two years ago to becoming a starter to cashing in as a free agent and staying in Jacksonville this offseason. Plus, he does a fascinating charity event in his hometown of Statesboro, Georgia, every offseason. Click here to read all about it.